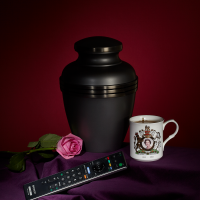 2016 will be remembered for several reasons – Brexit, Trump’s surprise election win and of course, the passing of so many cultural greats. 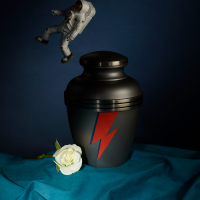 First we lost Bowie, then Alan Rickman, Harper Lee, Ronnie Corbett, Prince, Muhammad Ali and Leonard Cohen, to name just a few. 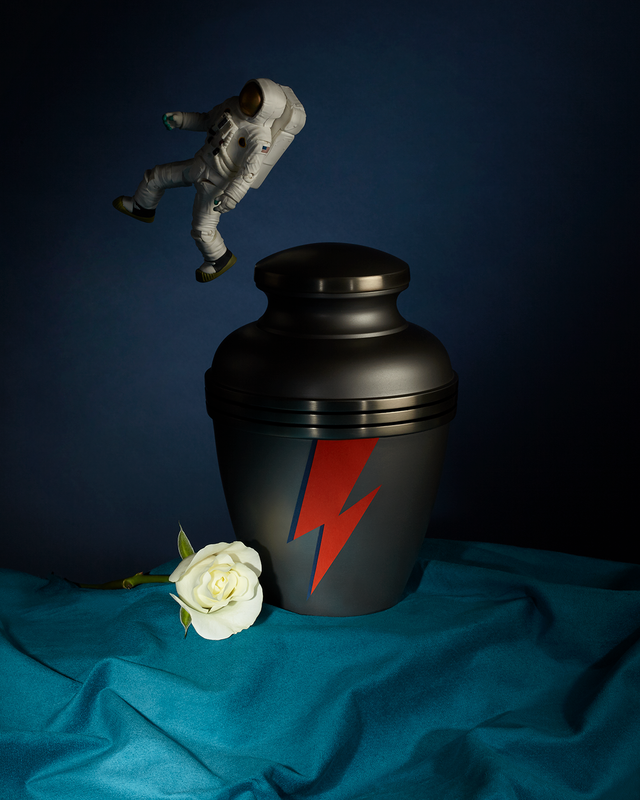 KK Outlet‘s new photo series Stardust – In Memoriam 2016 pays tribute to 22 icons who died this year. 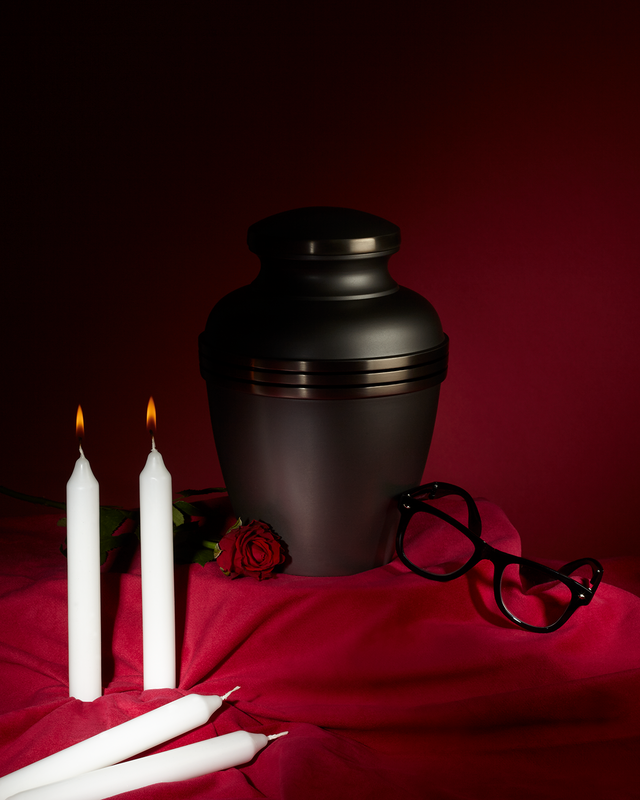 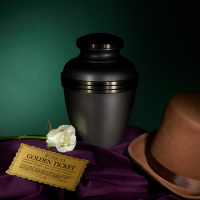 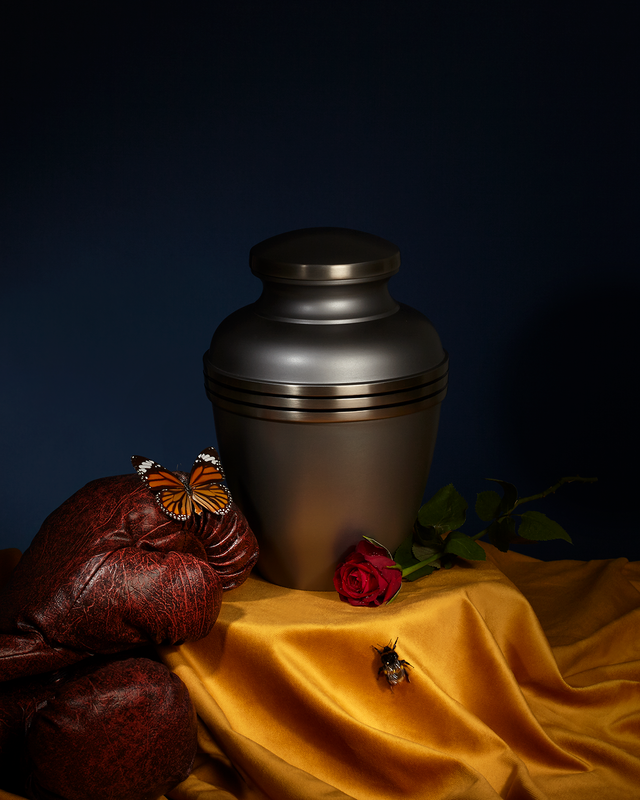 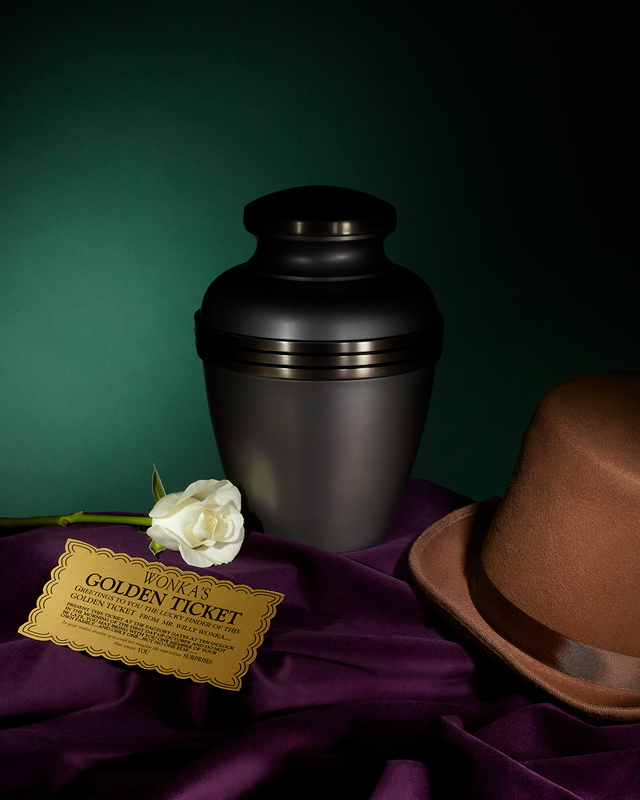 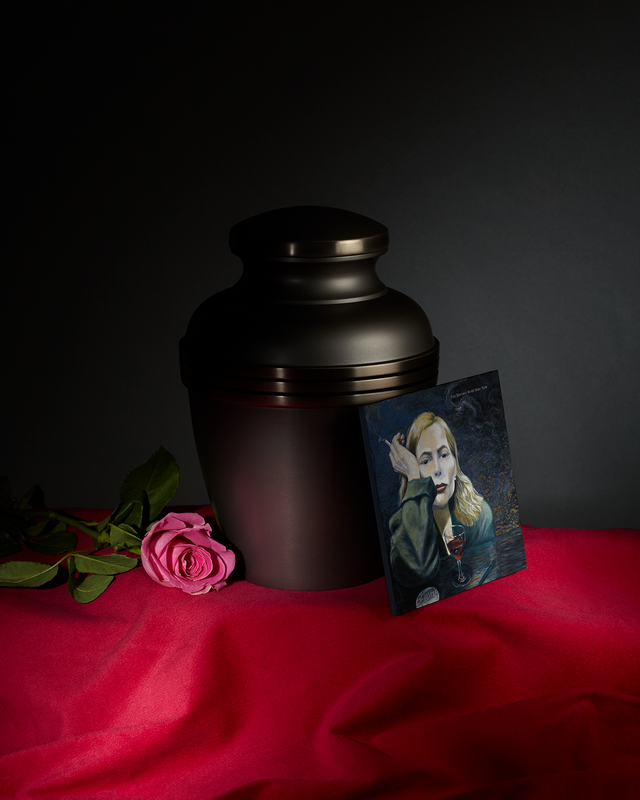 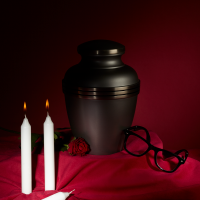 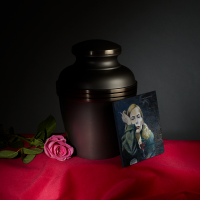 Images feature an urn surrounded by objects linked to a famous individual and are accompanied by the date of that person’s death, leaving viewers to guess their identity. 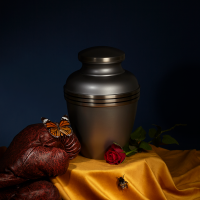 Photographs were shot by Emma Todd and are published online at stardust2016.com. 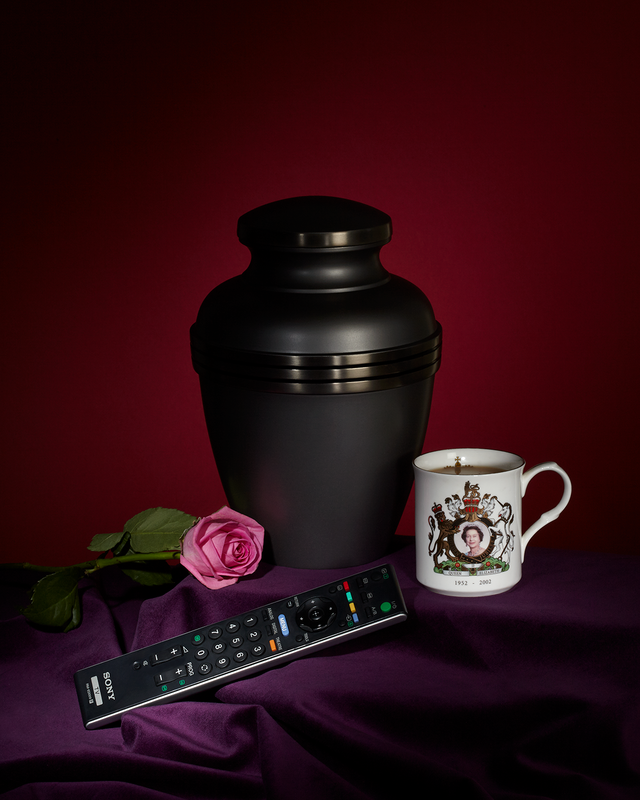 The project will be on display at KK Outlet in London early next year and compiled in a commemorative book.